Residential Locksmith in Phoenix AZ | Phoenix Locksmith Inc. 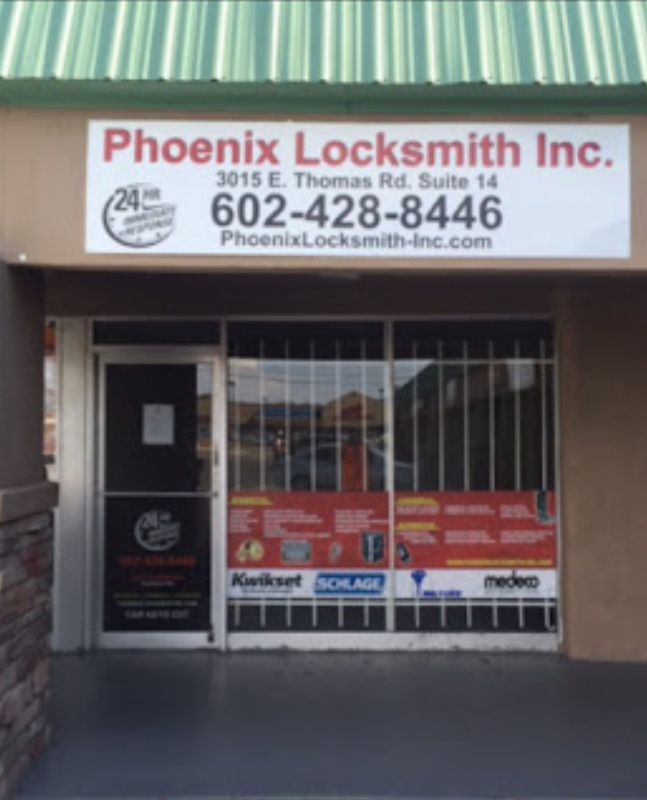 If you need fast, efficient and dependable locksmith service for your residence, trust the professionals at Phoenix Locksmith! As a top residential locksmith in Phoenix, AZ, we provide all residents in the Phoenix, AZ area with top quality locksmith service that doesn’t break the bank. Our affordable residential locksmith services in Phoenix are available to you 24 hours a day, 7 days a week which means you'll never be locked out again. Whether we are providing you with emergency services or visiting for a scheduled appointment, Phoenix Locksmith will take care of all your needs. Our residential locksmith technicians in Phoenix come prepared with the latest equipment and products to ensure your satisfaction is met during every visit. Our residential locksmith in Phoenix, AZ can improve your home security by installing new locks, re-keying existing doors and even installing or repairing your doorbell. Additionally, we always keep up on the latest home security trends and can take your home security into the 21st century with electronic and digital locking systems. If you'd like to explore the vast array of residential locksmith services we offer, please contact us at (602)428-8446 today! And don't forget that we also offer garage locksmith services!